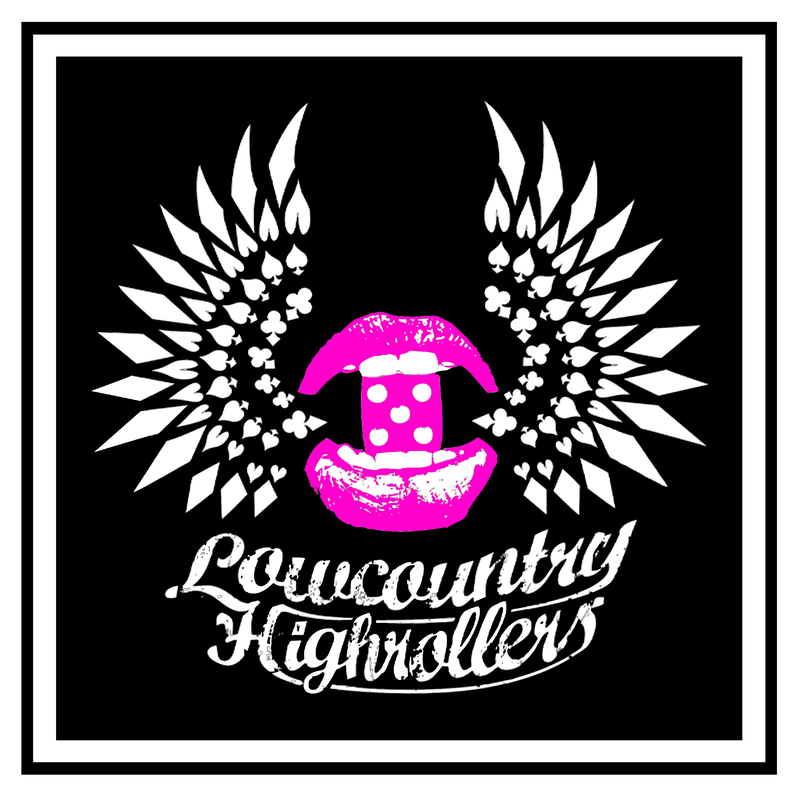 The Lowcountry Highrollers Allstars (259) will be taking on Muscogee Roller Girls (185) from Columbus, GA! 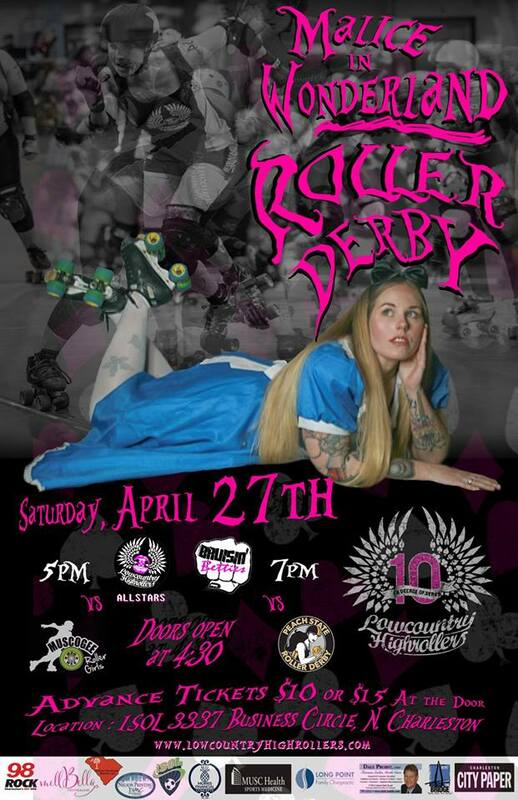 Your Bruisin’ Betties will be taking on the Peach State Roller Derby (283) from various other parts of Georgia! To celebrate the 10 year anniversary of our first bout held in 2009, our bout themes this season will pay homage to LCHR over the ages. Our charity this season is the Green Heart Project. The Green Heart Project builds garden-based experiential learning projects and school garden programs to educate students connect people and cultivate community through growing, eating, and celebrating food. Check them out at http://greenheartsc.org. Beer and Wine will be available for our adult fans at the game, so please don’t forget to bring your IDs. After the games are over, head over to the afterparty at The Mill for a meet and greet with the skaters! See who was chosen as MVPs for both sides. Enjoy drink specials, just for coming to see us! Advanced tickets are $10 – Get them HERE! BUY MORE & SAVE $$$ – Buy 10 or more adult tickets and get $2 off each ticket! Adult tickets are $15 at the door on bout day! Military ID gets you in for $10! **A note on parking: we have parking attendants walking around to make sure you are good to go! If you are unsure please ask, they are there to help! Such a phenomenal bout! A little back story. Allstars played in Hard Knox RollerGirls in Knoxville in August of 2018 and managed to have a lead change in our favor in the last jam. This resulted in a victory for the Allstars! Now, we knew HKRG was gonna be back for vengeance! Hard Knox started off in the lead making this a stressful couple of jams! LCHR defense was strong and so was the Knoxville’s defense. As a spectator, this team seemed a bit tougher than the last time we met, despite the final score. LCHR pulled ahead for the majority of the bout but the last few minutes HArd Knox began creeping back up which again made this extremely stressful! In the end, LCHR proved victorious with a final of 182-144. This was such a fun game regardless of the score. The Brawlers are such a fun and positive group of ladies! There were a few Allstars playing from both sides but the Brawlers had a few skaters who we had the honor of being their first bout against an opponent. We want to give them a huge round of applause!! The Betties defense was just so solid, often times HKRG Jammers had a hard time getting through. Not all for nothing, Brawlers had some very squirrely jammers and some super hard hitters! In the end, the Betties maintained the lead with a final score of 265-43.